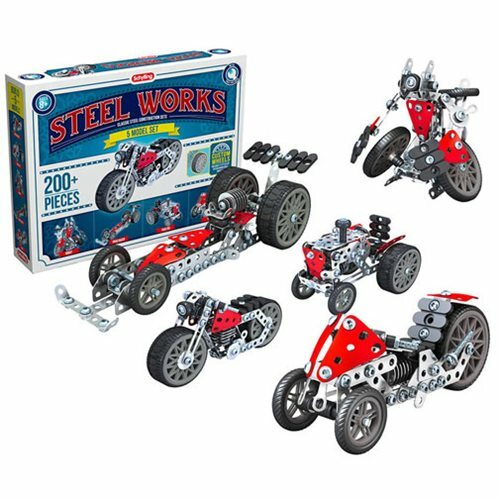 Explore the world of real building with Steel Works, the classic steel construction set. The Steel Works 5 Vehicle Model Set will inspire, challenge and amaze as you explore your creativity and imagination. The durable steel parts let you build and rebuild real toys you can play with. Build something you are proud to display or take it apart and try something new. Each set comes with 200+ real steel pieces, tools and detailed instructions. Ages 8 and up.